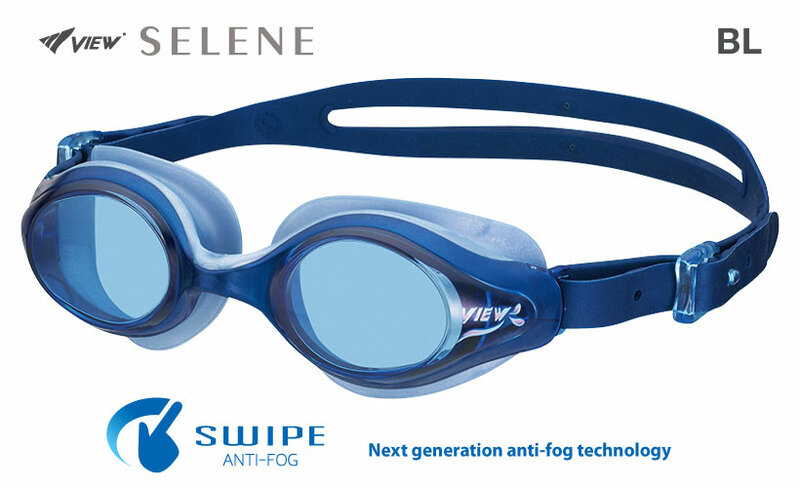 New swimming goggles with SWIPE ANTI-FOG technology. 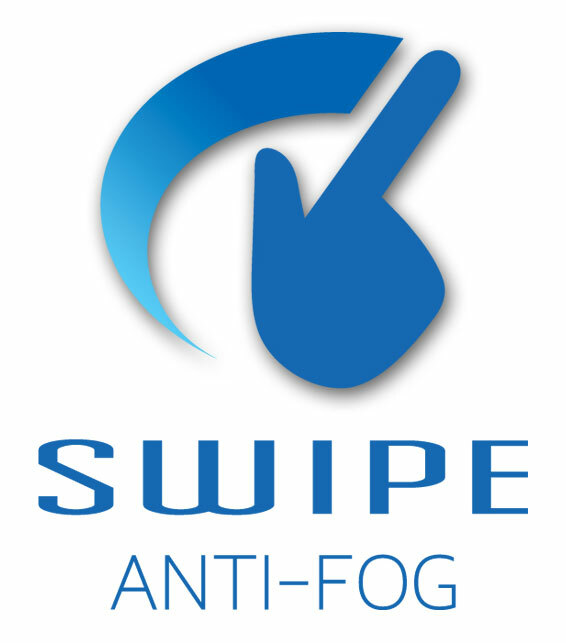 “SWIPE ANTI-FOG” can clean the lens by a few finger swipes and clear vision will be restored. 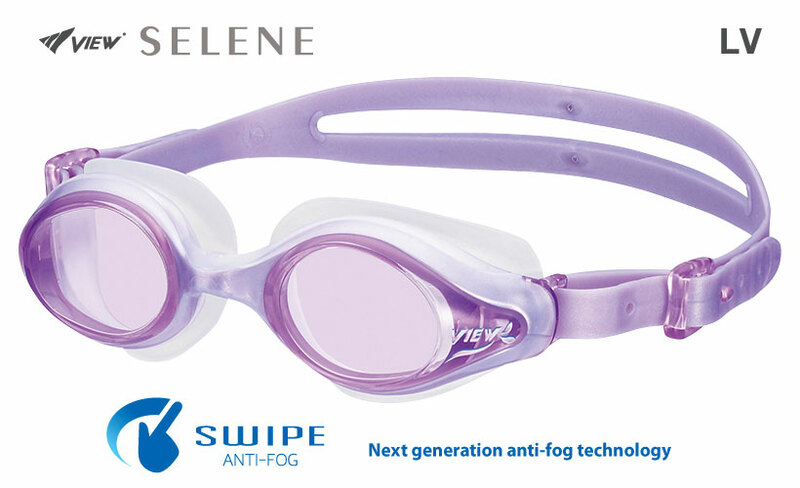 Compared to other goggles, the new SWIPE goggle anti-fog lasts 10 times longer. These goggles are user-friendly and incredibly comfortable. 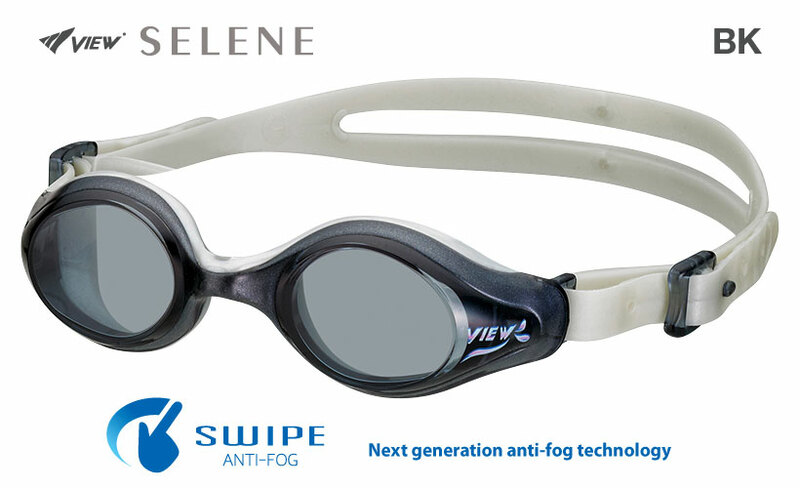 VIEW developed this swimming goggle by integrating ultra-soft material with firm material. The firm material is used for the frame surrounding the lens, while the ultra-soft material is used for the face pad section that makes direct contact with the skin. The result is a face pad that fits gently on the skin, and the fitting sensation is like nothing you've felt before. 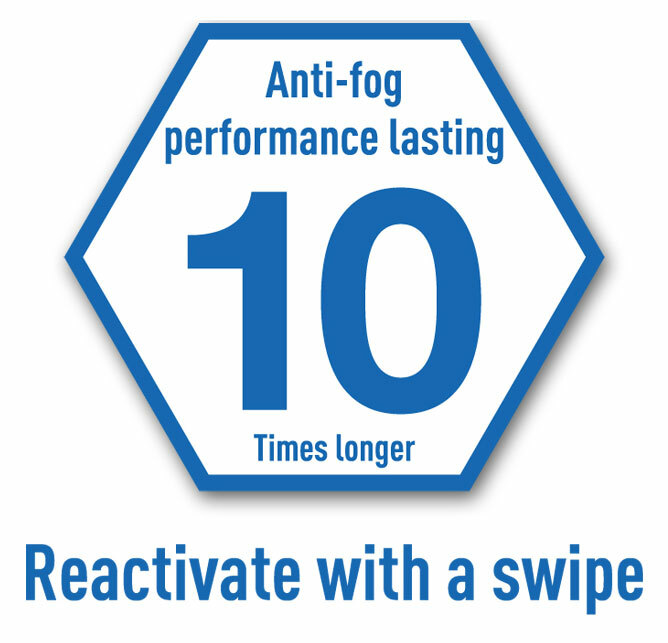 • SWIPE ANTI-FOG Technology > Find out more here. • Face Pad, Strap & Nose Bridge: T.P.E. 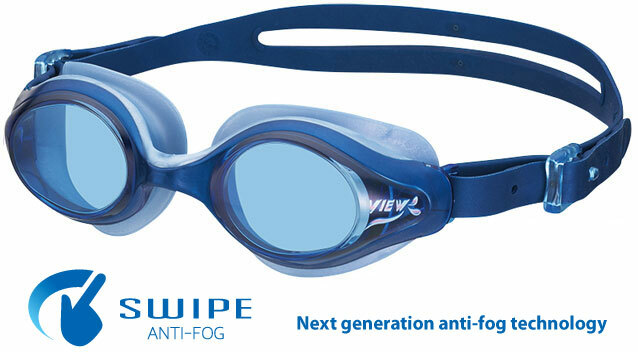 VIEW’s anti-fog uses a water layer to avoid fogging. However, when oil or other particles stick to the lens, the anti-fog performance decreases. 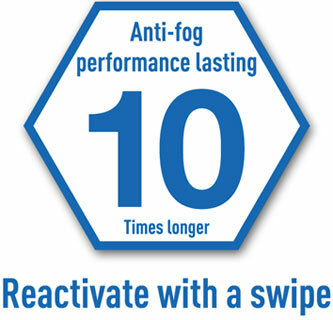 “SWIPE ANTI-FOG” can clean the lens by a few finger swipes and clear vision will be restored. 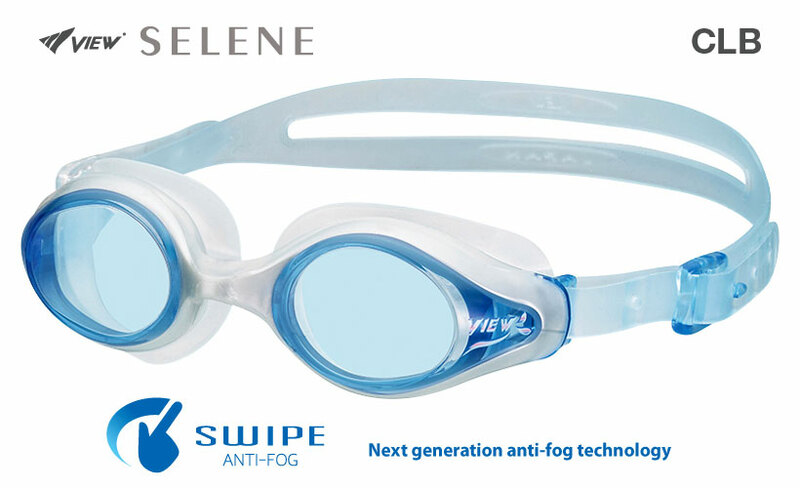 Compared to other goggles, the new SWIPE goggle anti-fog lasts 10 times longer. Find more here. VIEW’s T.P.E. Seals provide maximum comfort and water-tightness over extended periods of use. The T.P.E. Seals are able to be manufactured in numerous colour combinations, unlike premium grade silicone. VIEW's EZ strap allows goggles to be quickly and easily adjusted with minimal effort. Adjustment can be made while the goggles are worn, allowing for a precise fit.